Back to the Pool at Purr’n Pooch Pet Resorts! 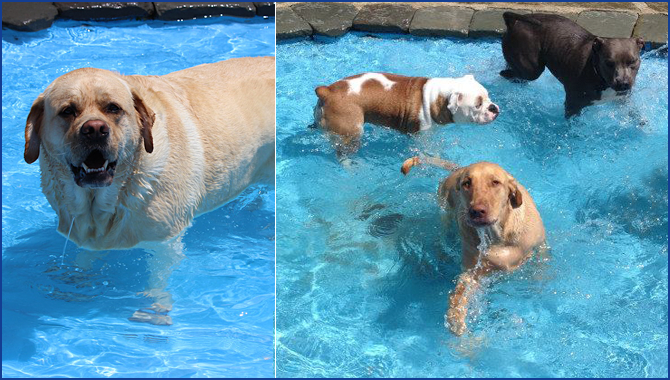 September may have the kids heading back to school, but at Purr’n Pooch our friends are back in the pool. Our freshwater pools are filled daily and available for your dog’s enjoyment through the end of the month. As long as the weather is warm, outdoor fun in daycare and boarding will include playground games and swims in our water parks. We also have agility classes for students heading back to training. Our classes are stress-free and fun for owner and pet. Don’t forget to also come by and indulge your best friend in an apple scented shampoo and spa treatment. Lots of activities to wag a tail about this month at Purr’n Pooch! Pups in boarding and daycare will enjoy treats and games on the playground as they celebrate the birthdays of their friends born in the month of September. Photos will be posted on our Facebook page. Monday, September 21 ~11 a.m. – 9:30 p.m.
FINS has partnered with the Purr’n Pooch Foundation for Animals to help raise money for a great cause. Visit any FINS location on Monday, September 21 from 11 a.m. to 9:30 p.m., show our event flyer on your phone, and a portion of your check will go to the foundation. Saturdays, 10 a.m. – 11 a.m.
No matter the breed of dog you have, you and your four legged furry friends can enjoy the fun of agility together. Agility4Fun is designed for all dogs and their owners to enjoy the sport of agility. Agility at Purr’n Pooch is all about fun. It’s a different way for you to exercise your dog and it’s good exercise for you too. It’s great if you want to take your basic training to the next level, we have the course for you. 6 weeks is $200, plus tax or drop-ins welcome. Cost: $35 per class. Email info@purrnpooch.com to enroll. Buy a 30 day pass get a free bath. Free bath must be used by October 31. Retail is 50% off all summer collars, leashes, and harnesses. 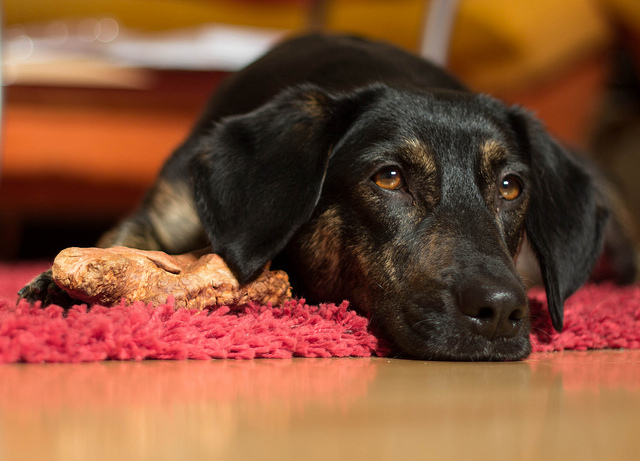 Treat your pup to a rejuvenating fall spa treatment. Our Professional Pet Products® AromaCare™ Clarifying Apple Shampoo gently removes dulling deposits and built-up impurities, using naturally cleansing apple extracts. It revitalizes the coat, leaving it soft, smooth, shiny with the fragrant luscious scent of fresh-cut green apples. Teeth brushing included. $25 plus price of grooming or bath. Latonya and Timothy Brennan with Churchill at their wedding reception. The Brennans chose Purr’n Pooch to help them care for Churchill on their big day. It’s your special day. You’re marrying the love of your life. Your friends and family are surrounding you in celebration of your big day. So why not take a few moments to celebrate with your furry friends as well? Couples are increasingly choosing to make their four-legged friends part of their wedding ceremonies. From carrying the rings down the aisle to flower girls leading dogs on a leash to the bride and groom, pets are a vital part of the special day. Ryan and Sarah Taggart made sure to include their border collie, Angus, in their ceremony. Angus was front and center during the vow exchange, watching mom and dad unite in marriage. Then Ryan and Sarah walked down the aisle as husband and wife with Angus right by their side. Just as the bride and groom primps for the big day, pups need special grooming too, and Purr’n Pooch Pet Resorts excels at getting your handsome pup ready for the ceremony. The resort will handle, transport, groom and board your dog for the special occasion so you can concentrate on prepping for your wedding. 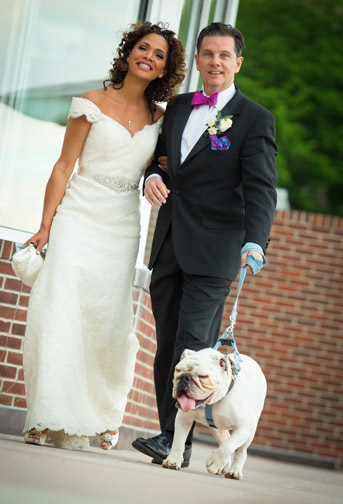 Latonya Brennan knew her wedding wouldn’t be complete without her bulldog Churchill, so she and her now husband Timothy turned to Purr’n Pooch to make that happen. Churchill, a four-year-old pooch who loves to play and hang out with his friends, was treated like royalty the day of the Brennan wedding by the staff at Purr’n Pooch. The pup was given a bath and groomed for the big day and fitted with a classy tie and matching leash. Then Connor Kelly, a kennel technician at Purr’n Pooch, transported him to the Molly Pitcher Inn in Red Bank for the reception. 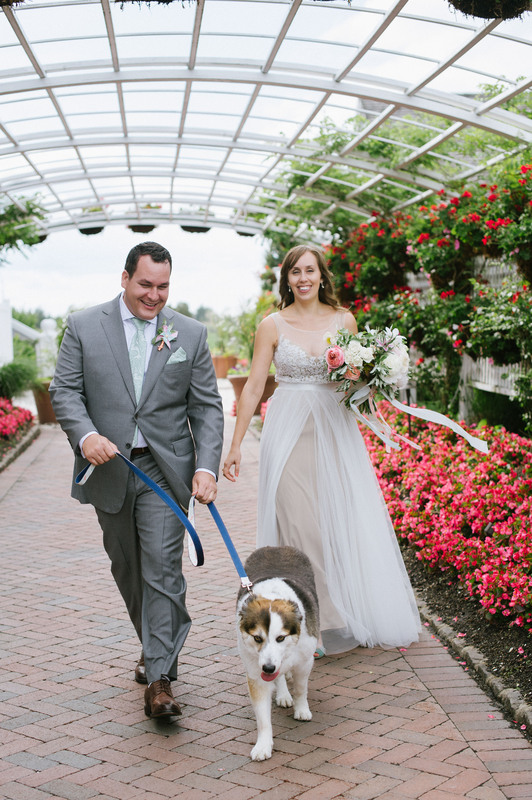 Ryan and Sarah Taggart knew they wanted their pup Angus with them during their special day. Dogs are increasingly becoming part of wedding ceremonies and receptions. Connor, who has been working at Purr’n Pooch for more than a year, is the designated pet transporter for pet wedding services booked through the resort. But that’s not all he does on the big day. He also stays at the ceremony or reception to help with anything the happy new couple and their pup need. And that dedication and passion is how Latonya knew she could trust Purr’n Pooch with Churchill on her big day. And the great service didn’t stop after the reception ended. When Latonya came to pick up Churchill after his stay, there was a special package waiting for the new bride. “It was a Purr’n Pooch coffee mug, and I use it every day!” said Latonya. Purr’n Pooch understands just how important weddings are, and how important it is for beloved dogs to share in the celebration. So if you want your furry friend to be a big part of your big day, let Purr’n Pooch take care of the details so you can focus on your other Mr. or Mrs. Right. Purr’n Pooch offers several wedding packages for you and your pup. Email info@purrnpooch.com for a complete list of packages and prices.